"Stamp impressions on the bricks indicate that the pyramid belongs to a vizier of Upper and Lower Egypt named Khay, who held this charge for 15 years during the reign of pharaoh Ramses II (1279-1213 BC) in the 19th dynasty," the mission said in a Wednesday statement. 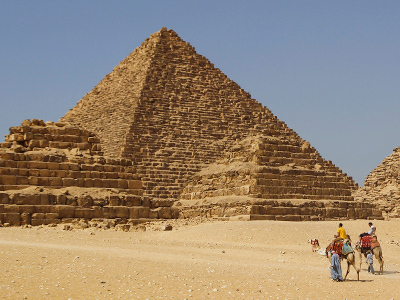 The pyramid is engraved with an ancient Egyptian scene depicting the god Ra-Hurakhti. "The monument was largely dismantled in the 7th and 8th century AD, when the tomb was transformed into a Coptic hermitage," it said. The discovery is believed to be of major importance “since the vizier Khay was known to Egyptologists by a large number of documents but the location of his tomb remained undiscovered,” the mission said. Until now, archaeologists have only known Khay from ancient Egyptian papyri, statues, and documents. His tomb has never been identified before, minister of state for antiquities, Mohamed Ibrahim, told Ahram Online. 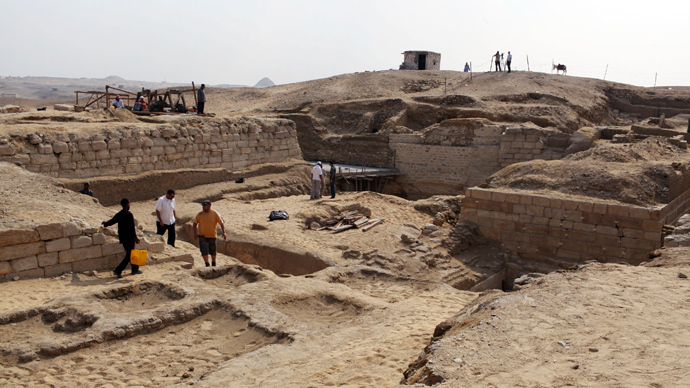 Khay’s tomb has not yet been found, but excavation works are ongoing to recover it. Mansour Breik, supervisor of Luxor antiquities said that Khay was Ramses II’s vizier for 15 years, and used to supervise the construction of royal tombs in the valleys of kings and queens. He also helped organize several festivals, including the king’s coronation. Luxor, which has been described as the "world's greatest open air museum,” has already seen a busy year in terms of archaeological discoveries. Earlier this month, an ancient child’s wooden coffin –dating back to over 3,000 years ago- was discovered by a Spanish archaeological team. A 3,350 year-old child’s coffin - known as a sarcophagus - was found in the same area just days before.